North Korea’s state media revealed in stunning detail on Monday the alleged infractions of Jang Song Thaek and showed still images of his being led from a Worker’s Party of Korea meeting by soldiers. The reports, which are unprecedented for North Korea, came just less than a week after South Korea’s National Intelligence Service reported to lawmakers in Seoul that he had been removed from power. Here’s how state TV made the announcement. 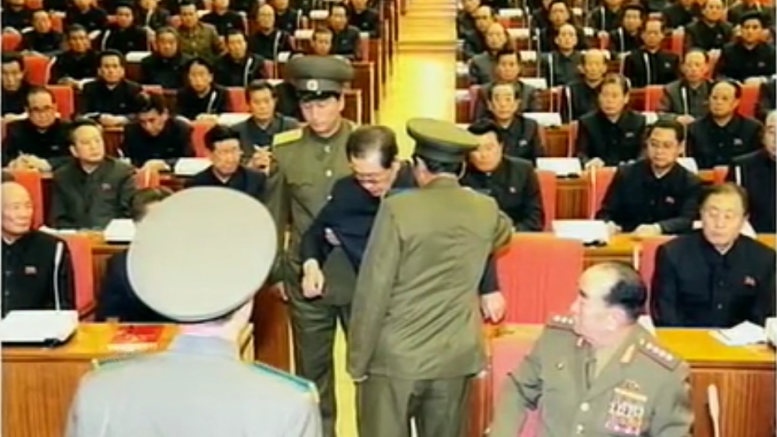 Still images of Jang being led away are shown around the 8:40 mark. And here’s the same story in English, as broadcast on Voice of Korea. The news begins at the 8:25 mark, after the opening anthems.